Reaching out to your prospects, potential business partners, influencers, and pretty much anybody you want to establish some kind of connection with can be pretty tricky. There are lots of reasons for this, but the fact that the brain of an average American processes 34GB of information on a daily basis depicts the level of information overload in the 21st century. It’s hard to make yourself heard through all that noise. Similarly, it’s expected that the average number of sent and received business emails per person a day will reach 125 in 2018 which means that people will be swamped with email messages. Needless to say, marketers and salespeople will have a really hard time trying to reach their target audiences and be noticed. We all know that first impressions are the most lasting, but this doesn’t mean that once you manage to capture your prospects’ attention, you can rest on your laurels. Here are a couple of outreach strategies that will help you connect with your prospects, keep them engaged, and skyrocket your sales. Determining the right communication channel is essential for successful outreach. This means that you should know your target audience very well, and use the medium that is most suitable for any particular segment. Having said that, maybe it would be better to conclude it’s your prospects who actually choose their preferred channel of communication, and you should only play along and adapt. Some people prefer email, while others think that a phone call is more personal and engaging. For example, surveys say that B2B audiences consider email one of the top three sources of information, right behind colleague recommendations and industry thought leaders. Pay a special attention to this matter when you’re planning your cold outreach. Namely, cold calling has a pretty disappointing conversion rate which almost never goes beyond 2%, but we can’t deny that if you’re a good salesperson, cold calling provides you with an opportunity to adjust your pitch during the course of the conversation, and convince your prospect to hear you out. On the other hand, cold emailing is extremely efficient as it allows you to reach hundreds or even thousands of prospects at the same time. Its ROI is also great as this method generates $38 for every $1 you invest in it. Create buyer personas. This the crucial step for getting your message across effectively. The more you know about your audience, the better messages you will be able to tailor. This is a complex task and this means that you’ll have to do detailed research, conduct online surveys, and interview your existing customers and prospects. Since, every bit of information is useful for creating buyer personas, make the most of the form fields on your website and try to capture as many important details as possible. Learning more about your demographics, their motivations, or even the lingo, mannerisms, or buzzwords they use, will help you get on the same wavelength with your audience. What’s your budget? It’s never pleasant when you have to cut your coat according to your cloth, but this doesn’t mean that your message won’t be effective. Besides, sometimes even costly marketing campaigns can go awry, just like the Coca-Cola’s $100 MagiCan campaign which totally backfired on the company. Instead of splurging all the money on a single expensive campaign, TV commercial, or an expensive ad in a magazine, focus on some more affordable channels and go for continuous placements through mediums that your target audience uses. Spy on your competition. Check out what channels your competitors are using, what kind of content they’re producing, and how well they’re performing. What’s even better, you can automate this process with the help of tools such as BuzzSumo which will show you the most popular and shared content on social media, or Newsletter, which collects and stores your competitors’ newsletters. Although this may sound like an obsolete method, it’s actually a breath of fresh air in today’s digital and impersonal world. If you send a handwritten note to your prospects as a follow-up, for example, after your presentation or to say thanks after the first successful sales, you can be sure that they will be more likely to take and return your future calls. Other occasions for penning a heartfelt thank you note include birthdays, promotions, successful ventures, or even when you just want to express your gratitude after someone has given you their time. Such a gesture in a way humanizes your outreach and adds a personal touch to your communication. It’s a good idea to go the whole nine yards, and send your handwritten notes in manually addressed envelopes with stamps. You can bet that such a note in their mail inbox will impress a recipient and show that you really mean what you say. Ordering custom stationery instead of ordinary, bland cards will additionally accentuate your good manners, which definitely won’t go unnoticed. This will help you differentiate yourself, and allow your customers and business partners to establish a more personal connection with you. You don’t have to practice calligraphy, but neat, legible handwriting is highly recommended. Many startups have taken thank you notes to the next level. For example, Hootsuite created a Hootkit, a personalized package consisting of branded stickers, T-shirts, and other cool promo merchandise. According to the company, their audience absolutely loves it. People from Buffer have a similar way of thanking their customers and business partners. Their thank you note also contains their beautifully designed swag, and this undoubtedly builds a positive brand image among their target audience. Another epic win is pairing your thank you note with, say, a box of chocolate chip cookies, which is exactly what AppSumo does, much to their customers’ delight. Social media has become an indispensable outreach channel, and although a survey by McKinsey has established that email is three times more effective at prompting purchase than social media, Facebook, Twitter, Instagram, Pinterest, and LinkedIn are excellent for expanding your reach and building exposure. Consistency. Make sure that your posts are always consistent both in terms of frequency and quality, as well as brand voice and tone. This will ensure that your brand is recognizable, and it will help you build customer trust and loyalty. Interaction. It’s important to interact with your followers on social media and respond to their every question or remark. Whatever you do, never ignore negative feedback or criticism. If you delete negative reviews, you may as well delete your account because this practice only damages your reputation. Instead of that, turn such situations into your PR victories by politely responding to people who leave negative comments (yes, even if they’re rude), and promise to look into their complaints and make improvements if necessary. Usefulness. The content you share on social media channels has to be directly useful to your audience, as that’s the only way to make your outreach meaningful and effective. This also means that you shouldn’t relentlessly (and shamelessly) promote yourself in each and every post. Instead of that, adopt the so-called 10-4-1 rule which means that out of 15 pieces of content you share, 10 should be posts authored by other people, 4 should be your own articles, while 1 should be your landing page. This is the right balance of content publishing and outreach across social media channels that will help you build your customer base and boost your conversions and, in turn, sales. Automating sales outreach is a must as it allows you not only to maintain regular contact with your customers but also to take advantage of various metrics. It takes 6-8 attempts to reach a prospect, and yet 44% of salespeople give up after the first attempt. We can’t deny that this activity is repetitive and time-consuming, and no wonder that the percentage of quitters is this high. That’s where automation software comes in to streamline your outreach and make it more efficient. It also gives you a valuable insight into the success of your every campaign and shows you which messages work and which doesn’t. Autoklose. The importance of using a reliable sales automation platform is tremendous since without it your follow-up efforts would take up all your time and energy, and prevent you from focusing on other aspects of your business. 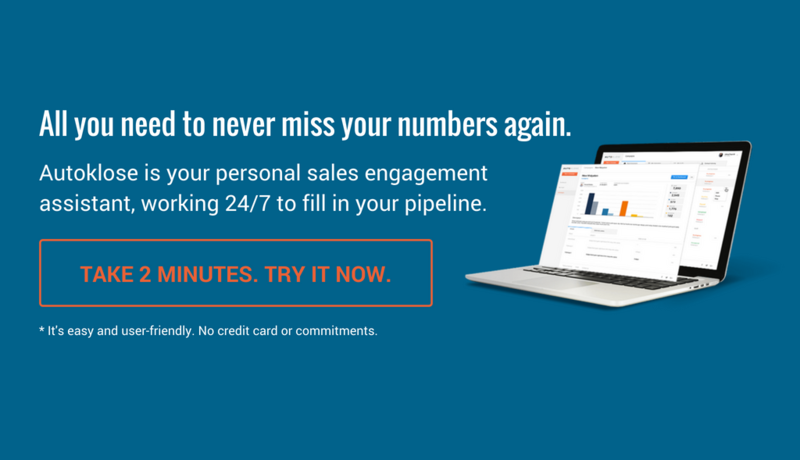 Autoklose takes charge of your email campaigns by allowing you to schedule them in advance. That’s not all, as there are lots of other useful options to minimize the time you spend completing dull, repetitive tasks, thus allowing you to actually talk to your prospects and sell. Octoly. The specialty of this tool is connecting brand and influencers willing to review their products and offer the feedback to their audience. Companies simply create an account, update product information, upload product images and videos. Influencers apply to review a product, and in exchange for their feedback, they get the products for free. After they share their impressions with their audience, companies are provided with engagement metrics which helps them select the best fit. BuzzStream. This tool has two components – BuzzStrem Discovery and BuzzStream Outreach. BuzzStream Discovery helps marketers research influencers based on the topics they’re dealing with, and they get detailed analytics on influencers’ activity and engagement. BuzzStream Outreach, as its name suggests, automates outreach, as it allows marketers to create email templates and automatically personalize them. All this makes discovering and communicating with influencers much easier. Almost 70% of recipients report email messages to spam only because of the subject line. On the other hand, 33% of recipients are prompted to open emails mainly because of compelling subject lines. These are only a couple of ideas that will help you come up with winning subject lines. Personalized subject lines also score an excellent open rate, which is why it’s a good idea to use your recipients’ names. Above-mentioned sales automation platforms enable you to personalize subject lines automatically, as well as to see how each of them performed. Using the recipient’s name, and including “you” and “yours” will increase the likelihood that they will click on your email. Technically speaking, a well-composed subject line is somewhere between 51-60 characters, that is 6-10 words long. Don’t forget that mobile devices dominate, which means that 67% of people open their emails on a mobile device first, which is why it’s important to keep your subject line short and sweet. The “oops” subject lines are extremely powerful, and you can use them to arouse your audience’s curiosity. They’re extremely effective if you want to apologize for an error in a previous email, or to own any other mistake. Scarcity is a great motivator, especially when it’s combined with urgency. So, when you’re giving a discount, make sure to spice it up with a limited-time offer. Adding numbers to your subject line will improve your open rates. Moreover, a study has shown that odd numbers perform better than even numbers. People love when things are broken down into lists because such content is readable, digestible, and much easier to navigate. By segmenting your target audience you will be able to personalize your outreach based on various parameters and make it successful. This strategy will allow you to send hyper-personalized and tailored messages that are hard to ignore. Mass, impersonal messages don’t work anymore. You need to show your audience that you know and understand them, and there’s no better way to do that than sending an email that they find relevant and interesting. Demographic data is the starting point of any good segmentation strategy. Narrow your audience segments by grouping them into various age, gender, income level, job title, or location lists. Not every business will use the same parameters, so if you’re in a B2B industry, age or gender doesn’t matter, but title and seniority level do. Similarly, the fashion industry heavily relies on gender, age, and income level. Past purchasing behavior is a goldmine of information. This important metric allows you to offer your audience exactly what they need or want. Recommendations for similar or complementary products can be your secret weapon. Take a cue from Amazon, since 35% of the company’s revenue comes from upselling and cross-selling. Whenever a customer makes a purchase, you should send an email thanking them for choosing you, and recommend a couple of similar items that would go well with the one they bought. Similarly, a reminder email when it’s time for spare parts, or an offer to extend their warranty plan when will bring you more purchases, not to mention that your customers will be grateful for thinking about them. By segmenting your audience based on their spending habits, you won’t make a mistake by offering someone who frequently buys discounted products a high-end item or vice versa. One of the most important types of segmentation is according to the position in the sales funnel. You won’t send the same message to a customer who just bought a product for the first time, someone who is a frequent buyer, and a person who bounced without converting. The first segment should get an introductory email to better acquaint them with your brand. The second segment is interested in finding out more about your new products similar to those they usually buy. The third one needs a push towards making a purchasing decision, and a targeted email reminding them about the products they are clearly interested in (and yet failed to buy for some reason), as well as providing other customers’ reviews, and maybe offering an incentive such as free shipping, might remove the obstacle that prevented them from purchasing. The average shopping cart abandonment rate is 69.23%, this retargeting segmentation strategy can help you beat the odds. By segmenting your audience based on their time zones, you will be able to reach them at the right time and increase the possibility that they will actually open and read your email. Tools which analyze email habits of your audience can show you want the best time to launch your campaign is and act accordingly. Emoticons and emojis used to be a big no-no in business correspondence, but that has changed. These colorful pictograms can make your outreach more interesting and relatable, and make otherwise bland and impersonal email communication more pleasant and easier to decode. Namely, it’s not a secret that digital communication suffers from the lack of prosodic features – body languages, gestures, mimic, facial expressions, and tone of voice. Emojis and emoticons, if properly used, can compensate for this and turn a poker-faced subject line or tweet into engaging messages. Just be careful not to overuse them or use them in a wrong context. Various holidays are an excellent occasion to jazz up your outreach with emojis and get away with it even if your brand isn’t exactly playful or oriented towards younger audiences. 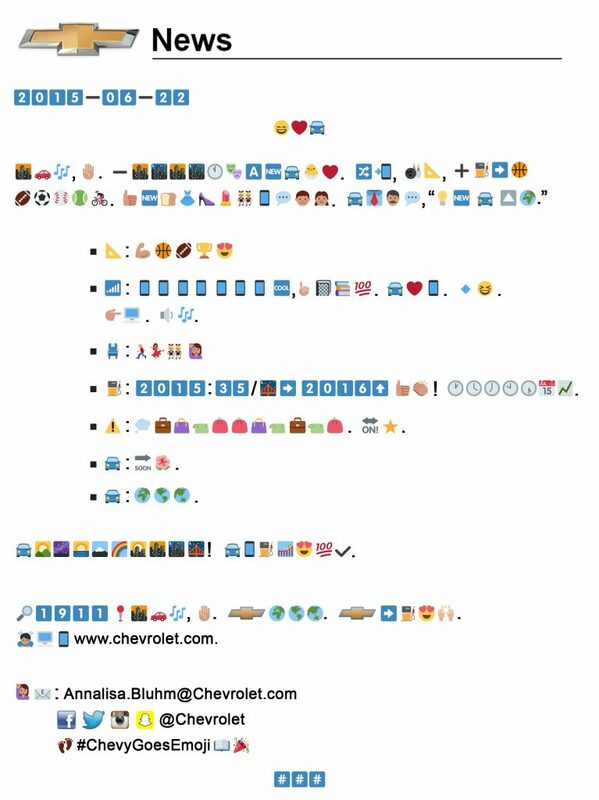 Back in 2015, Chevrolet used a press release entirely composed of emojis to introduce its new Chevrolet Cruze. The company tried to attract a younger audience, hence this bold and refreshing move. 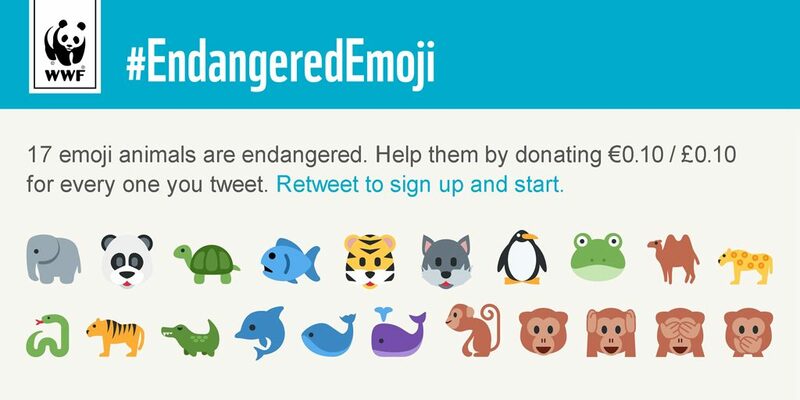 WWF’s endangered emoji features 17 animals on the brink of extinction. Product Hunt uses emojis to make their audience feel more special. Different emojis appear next to people’s usernames when they’re upvoting, and it’s a nice way of rewarding them for their activity. People are more likely to trust you if you have a common acquaintance, business partner, or somebody else who could vouch for your credibility. A survey by Nielsen has shown that respondents from 60 different countries are 4 times more likely to make a purchase based on recommendations from their friends. That’s why asking your clients to refer you to their friends and business associates who may find your offer interesting, is a great tactic that might land you an appointment. This kind of name-dropping can do wonders for your cold outreach, especially if you put the name of your mutual connection in the subject line. Another important detail that can give this strategy a boost is that the person who refers you to their contact introduces you to them by sending an email or setting up a meeting. Some companies even put referrals in documents as one of the expectations they have from their clients. It’s true that this may seem a bit rushed, because at that point, your clients don’t know whether they will be satisfied with your service enough to recommend you to their friends and business associates, but it should be clearly stated that this request is valid only if your clients’ business goals are properly met. Finally, you should create your own referral email template and speed up the process. Since your customers are busy people, it will be much easier to provide them with a ready-made template that they can customize instead of waiting for them to compose the whole message. 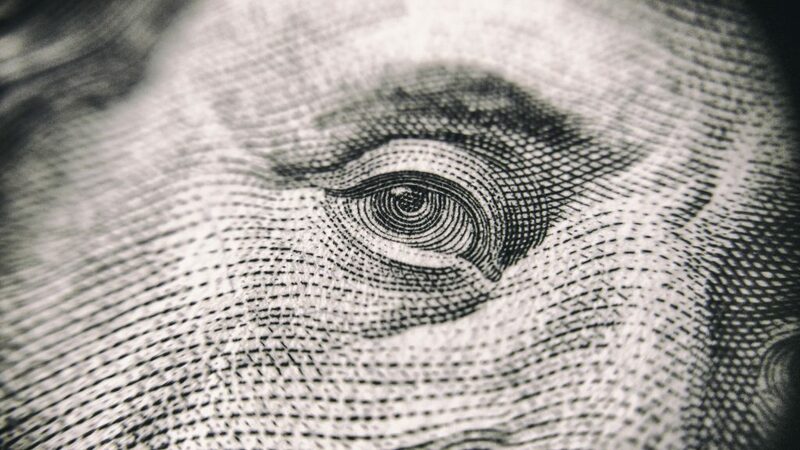 One thing is essential when it comes to referrals – incentives. The likelihood that your customers will refer you to their friends and family increases if you offer them something in return. You can either use monetary rewards, such as Payoneer which gives both their users and the people they refer $25. Or you can offer some cool freebies and promotional items. Invitebox is a platform which automatizes referral programs. Your customers will get their rewards instantly if they decide to refer you. There’s also the option for a goal-based reward system, meaning that your customers can collect referral points and when they reach a threshold receive their reward. Referral SaaSquatch allows you to leverage user experience and perform promotions across various channels and platforms, including web and mobile. As it provides a detailed analytics based on which you can optimize your referral program and make it more effective. It’s a thin line between being persistent and being annoying, so make sure not to cross it. Keeping in touch with your prospects is important, but if you simply email them to touch base, you can come off as spammy. One way out of this is to find a good reason for contacting them. For example, an interesting blog post that addresses their pain points will add value to your message and provide you with a perfectly good outreach excuse. Another thing that you can do is set a deadline regarding your next step and stick to it. In other words, always try to negotiate a particular date on which you will reach out again to see whether they have made their mind about your offer. Such a strategy will keep lines of communication open and allow you to call or email without being considered a stalker or a nuisance. Outreach is a complex process that needs to be fine-tuned and tweaked. There’s no uniform, one-size-fits-all approach that can be applied, which is why you need to balance every single element of your strategy, no matter how small and seemingly insignificant it is, because it’s the details that usually weigh in when it comes to closing a deal.